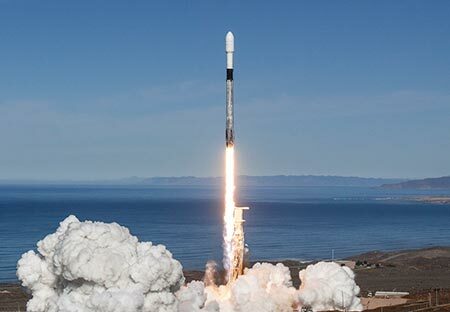 Washington-based Spaceflight Industries is hardly resting on its laurels following its launch of 64 satellites aboard a SpaceX Falcon rocket in December. The company’s record-breaking launch has caused Morgan Stanley analysts to dub the Spaceflight Industries an industry disruptor with its concept of satellite ridesharing. In the pre-ridesharing world of space exploration, rockets carried just one satellite into orbit. But as technology made it possible to make smaller and cheaper satellites, Spaceflight Industries has become the travel agent of space in some ways, slotting customer satellites and experiments into the unused space aboard commercial rockets. The December launch issued in a new level of ridesharing, as the company launched 64 separate satellites on its own mission. Ridesharing at this scale has greatly reduced the cost of launching satellites and as costs to launch have come down, the number of customers wanting to explore space has skyrocketed. While the SSO-A mission was aboard a SpaceX launch vehicle, Spaceflight works with a number of rocket providers to ensure that customer missions make the best use of capacity to further drive prices down. Certainly, the upstart company has gained new fans among potential investors and growing commercial space interests alike. The company has plans to launch 100 satellites in 2019 and has sent more than 200 into orbit so far with its ridesharing model.